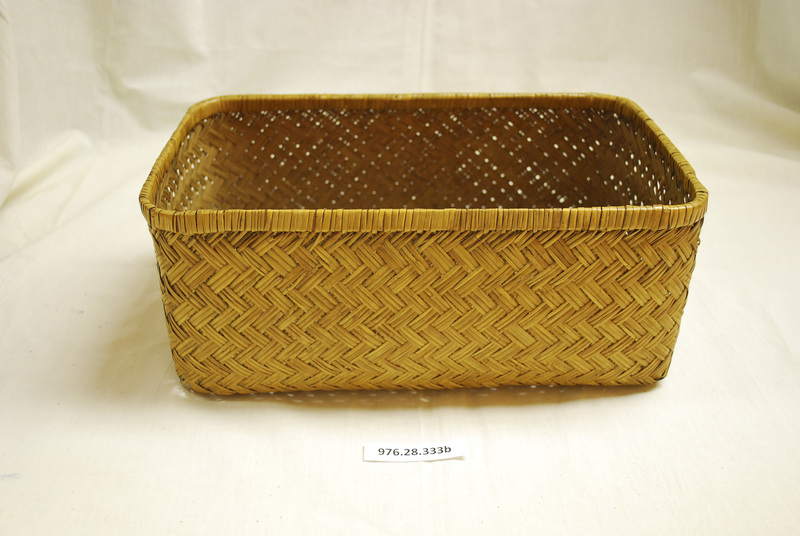 Rectangular basket with cover in the form of another similar basket which covers it completely. Woven in this shape, with a support provided only by a thick rim indicating that probably the basket was steamed or shaped over a form to obtain the rectangular shape. Actual weave of the baskets is unusual - similar to a herringbone weave three narrow strips of bamboo or cane are treated as one. Attached image is of one-half of the basket and lid pair.